It is hard to deny one basic fact about UNF’s campus: it is BEAUTIFUL. Located on a 1300-acre nature preserve, the UNF campus has been nationally recognized for its strong commitment to the environment. 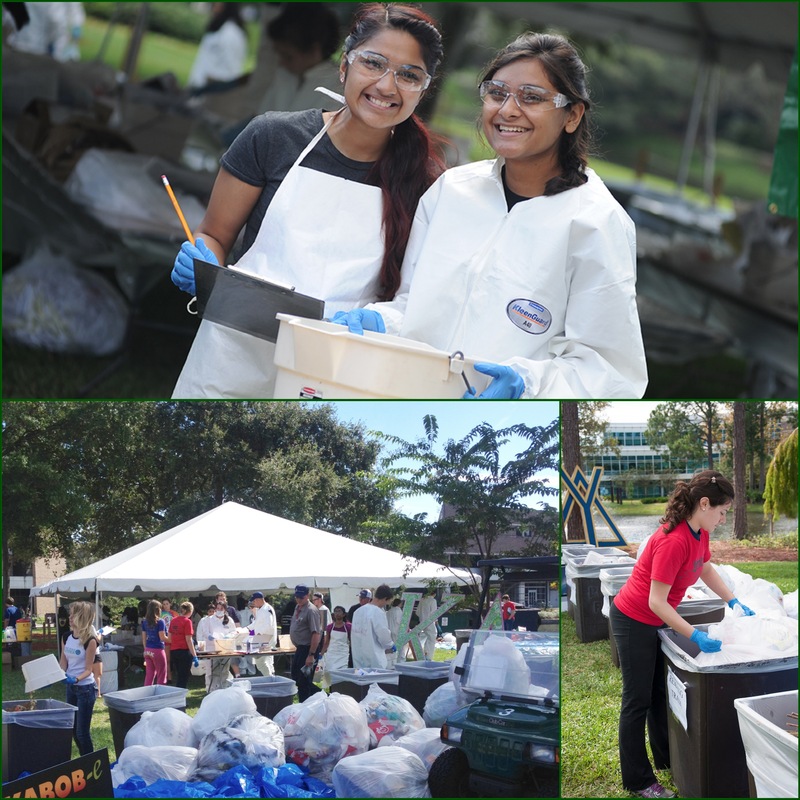 This is why nobody on campus blinks an eye when once a year our students sport white jumpsuits and rubber gloves in preparation for sifting through hundreds of pounds of trash during our annual Garbage on the Green event. 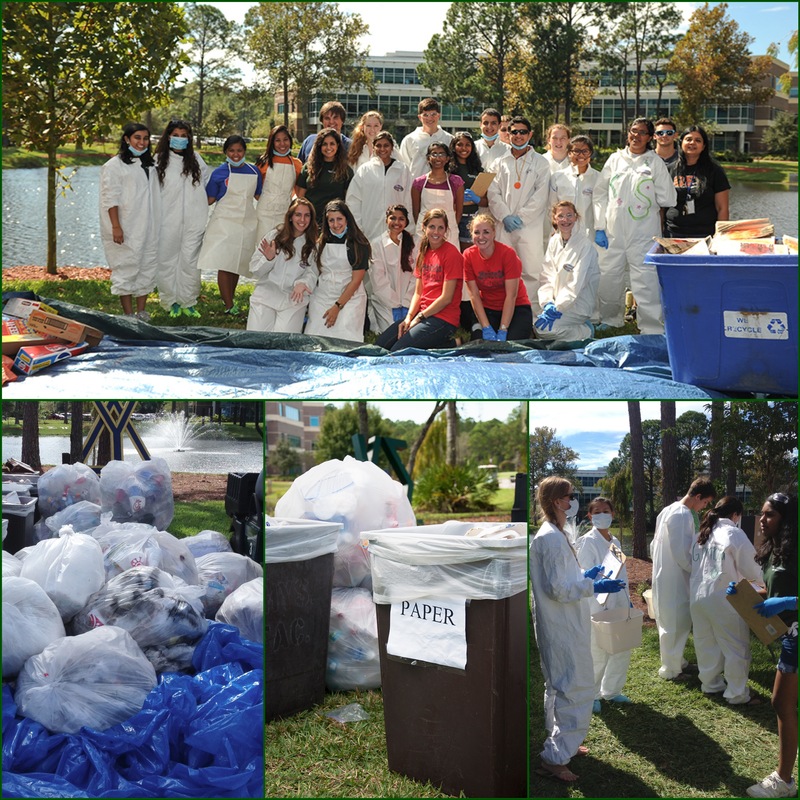 Every year, during UNF’s Sustainability Week, the UNF Environmental Center hosts Garbage on the Green. The event aims to bring awareness to the University’s waste management and recycling programs. Contents of campus trash cans and recycling bins are dumped onto huge tarps in the center of campus. Students spend the day sifting through and sorting the contents. The goal is to calculate the type and amount of recyclable waste that can be diverted from landfills. We know what you are thinking… “Ewe, I would not want to do that!” The truth is, it’s actually FUN and quite astonishing! And when you become an Osprey, you will see why we take so much pride in our Green Campus!